Is a key partner in the F-35 consortium having doubts about the fighter’s anti-surface weapons systems? 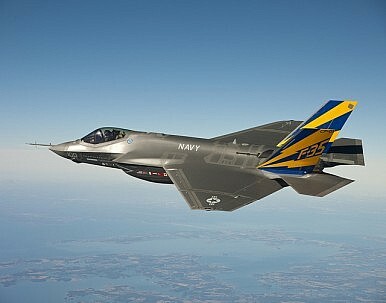 From his perspective, one of the major issues facing Norway is the fact that the F-35 currently lacks sufficient anti-surface warfare (ASuW) capabilities, which represent a requirement not only for Norway, but also Asia-Pacific consortium partners and potential future buyers including Australia, Canada, Japan, South Korea, and Taiwan. With this in mind, he said that it’s critical the US and Norwegian governments agree soon on the integration of his company’s JSM missile with the F-35 baseline. He believes failure to do so, or identifying a comparable ASuW weapon alternative, risks a decision by Norway to delay its purchase authorization for the additional aircraft. According to Bjune, Norway’s ASuW requirement can’t be met with weapons currently fielded by the US military. ‘Current legacy weapons aren’t filling the gap. The only comparable are European weapons on the market,’ he told me. ‘Furthermore, the JSM is the only missile available for internal carriage, which affects the stealth capabilities of the fighter.’ When asked for his thoughts, Abelson concurred, saying current weapons available to consortium partners were ‘probably not’ sufficient for their ASuW mission requirements. Burne believes that another possible sticking point for Norway could be industrial participation. He says his company has created 200 new jobs and built a new facility to service its commitments under the F-35. A decision to promote an alternative ASuW weapon would mean a loss of those jobs, which represent a significant portion of Norwegian job creation under the programme. With the increasing risks facing the F-35 programme, Bjorne confided that his company has been in discussions with Boeing for a couple of years to bring the JSM to the F/A-18 Super Hornet platform as well. Fitting the Super Hornet has also been a design requirement for the weapon. Given that the Super Hornet is seen as a possible alternative to the F-35 by a number of countries, including Australia, a decision by the Super Hornet Programme Office to integrate the JSM would provide Kongsberg with more than just an ability to service the US Navy with a cross-platform missile. It also provides Australia, Canada, and Norway, who work closely and share the ASuW mission space, with a near-term solution for their needs in the event the F-35 programme stalls. In addition to the Super Hornet, Konsberg has looked at integration of the weapon with Boeing’s P-8 Poseidon as well. While Bjune was unwilling to discuss integration with the F22-A, he confirmed that Konsberg doesn’t intend to make the weapon available on non-US based platforms, regardless of the F-35 integration decision. Looking ahead at next year’s decision on F-35 purchase authorization, Bjune harbours serious reservations. ‘We aren’t talking about the F-35 lacking 5 percent of what Norway needs in capabilities and industry participation. The divide is much bigger than that,’ he said. He also believes that the JSM issue will be an important factor in the ongoing Australian reassessment of the F-35 given their critical ASuW requirements in the Pacific and Indian Oceans. For these reasons, he hopes that the US and Norwegian government can soon move forward on JSM integration, whether funded under Common Block IV by all consortium partners or separately under a bilateral agreement. Eddie Walsh is The Diplomat's Pentagon (accredited) correspondent and a MPhil/DPhil candidate in Politics at the School of Oriental and African Studies. His work has been featured by ISN Insights, CSIS, The East Asia Forum, The Jakarta Globe and The Journal of Energy Security. He blogs at Asia-Pacific Reporting and can be reached at [email protected]. A top US general outlines his priorities for the US Air Force as the service is forced to confront tight budgets. Game Changer: The F-35 and the Pacific Another Problem for the F-35 Singapore’s Military Modernization How Norway Sees the ArcticA NATO-Like ASEAN?